Keywords: Bitcoin, BTC, digital currencies, seized, fiat currency, proceeds of crime. How is Bitcoin actually seized? Seizure of proceeds of crime by law enforcement involves the State taking control of seized property to prohibit the transfer, conversion, disposition or movement of the assets. In most instances, this may involve the locating and restraining of assets such as real property, cars, bank deposits, cash, boats, shares and jewellery which can readily be located and traced. However as bitcoin is a decentralised virtual currency, meaning that it is not administered or regulated by any institutions (e.g. banks or a specific company) and does not ‘physically exist’, potential investigative and legal challenges arise for law enforcement and the Courts. In June 2014, the United Nations Office on Drugs and Crime (‘UNODC’) published a ‘Basic Manual on the Detection and Investigation of the Laundering of Crime Proceeds Using Virtual Currencies’ (hereinafter ‘Manual’) providing a guide as to how the Bitcoin can be located and seized. According to the Manual, the way in which Bitcoin can be located and seized is by locating and taking control of the Bitcoin wallet. This is because the bitcoin wallet contains the intrinsic information of the private keys. It can either be seized by the authorities by taking away the instrument (e.g. the hard drive) or by transferring the balance to the Bitcoin wallet that is in the control of the State. The Bitcoin wallet is a software program which is linked to the private keys. It contains the balance and allows the user to make transactions using the program. The Bitcoin wallet can be installed on to the desktop or mobile app, accessed through internet websites hosted by third parties, or in an external hard drive. Bitcoins are intrinsically connected to a specific address or private keys assigned to an individual. The private keys are the codes which give the person the effective control over the linked Bitcoins. It is the only information that identifies the user. The advantage of locating and seizing the Bitcoin wallet is that the potential complex jurisdictional issues that the use of virtual currencies creates, (as it operates in the online environment that blurs the national borders) can be avoided. The physical location of the instrument containing the Bitcoin wallet will in most cases be considered as the rightful jurisdiction for the purposes of freezing, seizure and confiscation. The seizure of a Bitcoin wallet was the way in which the Australian authorities seized bitcoins as proceeds of crime. In 2013, Victorian police seized 3 electronic bitcoin wallets containing 24,518.4777721 BTC for the first time in Australia. The seizure was part of a large scale investigation into Mr Pollard who was suspected of drug trafficking, possession, cultivation, importation and dealing with proceeds derived from the drug crimes. During the search warrant, the police examined the computer used by Mr Pollard and located the Bitcoin wallet. The seized and confiscated bitcoin was subsequently forfeited to the State. Later in 2016, the forfeited Bitcoins were arranged to be auctioned. The ongoing problem faced by the authorities however is with the detection of the illegitimate use of Bitcoin transactions. Despite the fact that the transactions involving Bitcoins are recorded in the public ledger, the process in which the transaction is endorsed (mining) and its anonymity, makes it practically untraceable. Collection, collation and analysis of all available financial information between agencies on an international level relating to criminal activity and movement of assets. Frequent movement of funds between bank accounts held by different persons located in different countries (potential layering activity which is typically used to launder money). 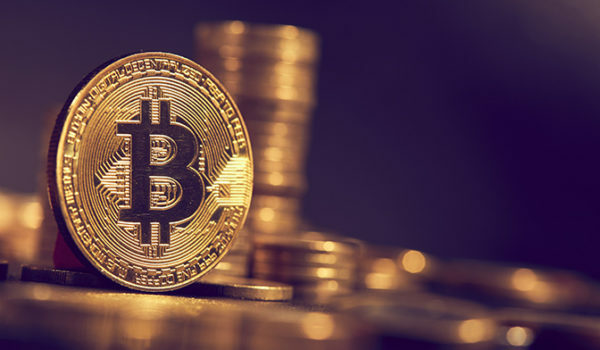 Despite the technological difficulty in the early detection of illegitimate use of Bitcoins, it is nevertheless possible although difficult for Bitcoins to be seized as proceeds of crime. The most effective way law enforcement authorities can seize Bitcoins is by obtaining the private keys which are linked to the Bitcoins or physically confiscating the ‘Bitcoin wallet’.